Renée Crichlow, MD, is a full-spectrum family physician on faculty at the University of Minnesota North Memorial Family Medicine Residency. She serves as the Director of Advocacy and Policy within the Department of Family Medicine and Community Health. She joined the department in 2009. Dr. Crichlow's experience in health policy includes completing a fellowship in primary care health policy with the U.S. Department of Health and Human Services. She is also the co-founder of a youth health career mentorship program in North Minneapolis called The Ladder, which has been engaging learners and physicians at every level. 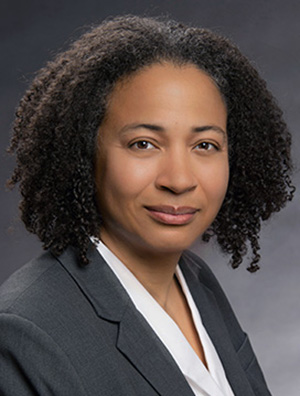 In addition, Dr. Crichlow has extensive experience in teaching health policy, community engagement, and leadership in addition to her full-spectrum practice. Previously, Dr. Crichlow was faculty at UC Davis with a joint appointment in Family Medicine and OB/gynecology. Following UC Davis, she worked and taught as a family physician in rural Montana while on faculty with the University of Washington in the Montana Family Medicine Residency Program. Crichlow R. Valvular heart disease. In: Paulman P, Taylor R, Paulman AA, Nasir LS, eds. Family Medicine Principles and Practice. 7th ed. Switzerland: Springer International Publishing; 2016. Berge JM, Meyer C, MacLehose RF, Crichlow R, Neumark-Sztainer D. All in the family: Correlations between parents' and adolescent siblings' weight and weight-related behaviors. Obesity. 2015;23(4):833-39. Crichlow R. Applications of complex dynamics, an approach to refractory health policy interventions. In: Sturmberg JP, Marin CM, eds. Handbook of Systems and Complexity in Health. New York, NY: Springer-Verlag; 2013. Wilson RT, Giroux J, Kasicky KR, Crichlow R, Rhodes NA, Tingueley J, et al. Breast and cervical cancer screening patterns among American Indian women at IHS clinics in Montana and Wyoming.Public Health Reports. 2011;126(6):806-15.